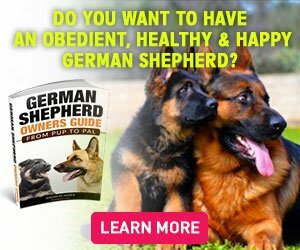 Have you been annoyed with your German Shepherd trying to dig holes in your garden and backyard? All dogs love to dig, and it is absolutely normal if you find your GS digging up the ground. However, if the digging goes overboard and you are just too annoyed, you need to make it stop. Everything happens for a reason. Similarly, your GSD is not digging up the ground for no reason. You need to know the reason behind your GSD’s behavior and only then you can solve it. Why do German Shepherds Dig? 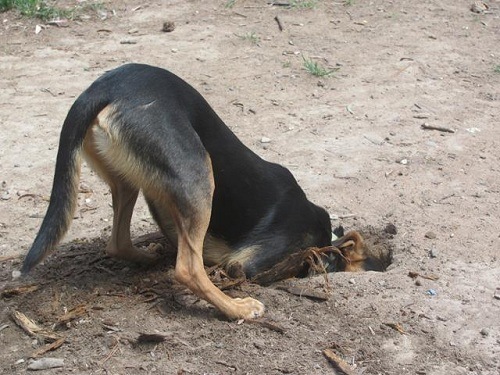 Digging behavior is a common problem that many GSD owners complain about. If your dog digs up your backyard every time you return home after work, there is a problem. There might be some problems that your dog might be going through and in response to them it digs up the ground. If your dog is bored, it will dig. If your dog wants your attention. If you leave your dog alone at home. If it wants to cool down by lying in the cold mud. If it is trying to escape through the fence. If it has buried a bone or treat under the ground and is digging to get it back. These are the most common reasons that GSDs dig up the ground and become a nuisance. It is alright to find your dog digging up the ground once or twice. However, when it starts to adopt it as a hobby, it becomes a huge problem. No one wants to see their garden or backyard dug up and turned into a mess. GSDs usually exhibit this behavior because they are bored and want to play. As owners, you need to ensure that your GSD is not feeling lonely or depressed. A depressed GSD gets very messy and destructive. There are steps that you will need to take to stop this annoying habit of your GS. Take your German Shepherd out for walks and give it time to play with you. GSDs are very active dogs, and they need their daily dose of exercise. When they can’t meet their physical needs, they become irritated and as a result, they start digging up the ground. The best way is to designate a particular time of the day to take your dog for a walk. If you have a backyard, play with your dog for at least half an hour every day. 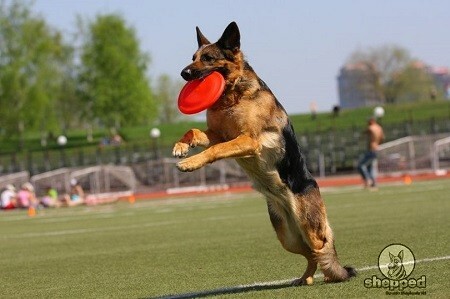 You can play Frisbee with your dog or fetch game. If your GSD is trying to get your attention by digging up the ground, don’t give it the attention it needs or else it will know that digging up means getting your attention. You can also stop its digging habits by giving it enough time every day so that it doesn’t feel the need to get your attention by digging up the ground or annoying you. Don’t let your GS get bored. GSDs show this behavior when they are extremely bored. Try changing parks and walk location every week so that your dog remains excited. Do not leave your dog alone for long hours as it will make a mess out of your garden. If you are going to work, make sure you leave someone at home. If you live with other family members, tell them to give time to your dog. If you don’t have a big yard for your dog to play then make sure you take it outdoors. If you don’t have the time to take your dog for a walk, make sure you play with it indoors. You can play fetch or any other game to provide sufficient exercise to your GS. Give your dog enough toys to play with. If there is a female GS in the neighbors, don’t leave your dog alone outdoors. If your GS is digging up the ground to escape, make sure you don’t leave it unsupervised when outdoors. Provide your dog with a sandpit which will be its designated spot for digging. If it still digs in your garden, say ‘No’ and repeat this word every time it does that. Your dog will soon learn that it cannot dig anywhere other than its sandpit. To keep your dog to its sandpit, hide treats and toys in it so that your dog stays engaged. If the above strategies don’t work, there is another way to put a stop to this destructive and irritating habit of your GS. Behavioral training allows you to teach your dog some manners. If your dog is digging up too much, tell it that this habit is not acceptable. Whenever you find your GS digging up the ground, say ‘No’ or ‘Stop’ in an authoritative tone. You can also throw a bone or toy at it to distract your dog. Whenever your dog starts to dig, throw a little water at it. Obedience training strategies will also make your dog learn to listen to you. Set some rules for your dog and train it to follow them. Do not encourage your dog when it starts to dig the ground. Ignore your dog completely and walk away instead of giving it the attention it is looking for. If it stops digging, praise it by offering a treat. Repeat this several times until your dog makes a connection between treats and not digging. Try to keep your GS busy so that it doesn’t end up digging into your garden. It is extremely annoying to come home and see your garden all messed up, your vegetables and flowers ruined, and mud all over the place. No matter how angry or annoyed you feel, don’t ever treat your dog with aggression or fury. If you get angry at your dog for digging up the ground, it will get upset. An upset GS is not what you would want to deal with as it can potentially get aggressive. Instead of handling the situation with an aggressive approach, try dealing it with the techniques mentioned in this article. Stay calm and if you cannot solve the problem, we are always here to help. You can sign-up on our website that has all you need to know about training your GS.